Anyone who has seen at least one police drama knows well that fingerprints are one of the surest ways to identify a person. They are a unique characteristic of every individual and cannot be reproduced. For this reason they are well suited for use also in the field of access control, where they also offer the advantage of always being, quite literally, “at your fingertips”. In fact, although fingerprints were used in old movies only to identify individuals who had been present at the scene of a crime, in the more recent ones they are also used to provide access to laboratories and private premises. To enter you need to rest your hand or finger on a fingerprint reader and the bad guys go crazy trying to find a way to beat the system. For once, what you see at the movies and read in novels is not a fantasy, but, on the contrary, a technology accessible to all. One of the most advanced implementations in the field of home security is without doubt the Ram-Touch fingerprint reading system, which is fitted to a wide range of Viro safes and security cabinets. 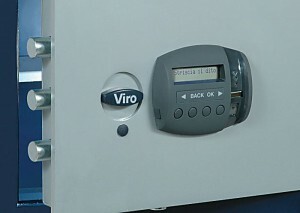 The system is accessible via a convenient control panel located on the door. 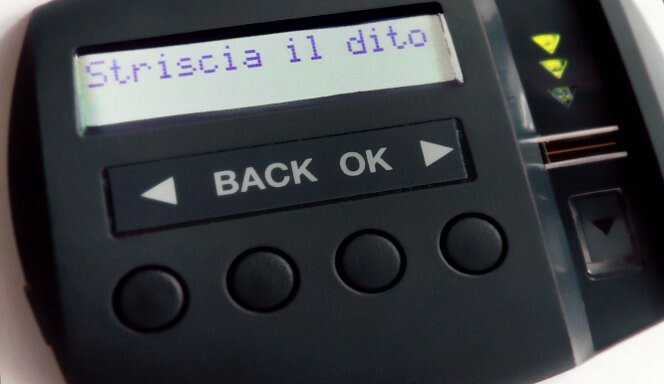 To activate it, simply press a button and, at the end of operations the shutdown is automatic, so that you do not use the battery unnecessarily. Fingerprints are recognised simply by swiping a finger on the reader. A particularly precise alignment of the finger over the reader is not needed and there is no need to worry if you have some slight cuts or abrasions on the finger, because the system tolerates small physiological changes of the skin. 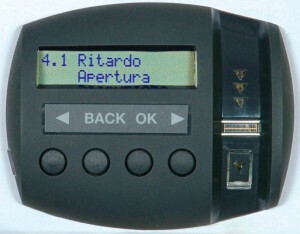 The Viro Ram-Touch system control panel. The system is particularly convenient in all situations in which the safe must be used by several people, such as in an office. It is possible to set up, by means of a simple procedure, up to 10 fingerprints or up to 9 numerical codes of from 3 to 10 digits (which offer 10 billion possible combinations). If one of the users needs or wishes to control the use of the safe by other people, it is possible to set a fingerprint as the “master”. If the “master” fingerprint is set up it allows the door to be opened just like the others, but, in addition, it is always requested in order to confirm the cancellation or storage of other fingerprints. All the operations for storage and deletion of the fingerprints and codes are only possible with the door open. This is an additional security measure to ensure that the settings can only be changed by individuals who already have the right to access the safe. All the operations for storage and deletion of the fingerprints and codes are only possible with the door open. A biometric opening system offers maximum security and ease of use, since it requires neither the use of a key or a code, but simply “opens with the touch of a finger”. 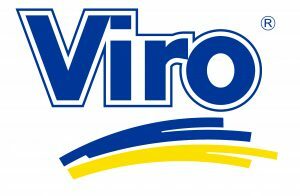 The Viro Ram-Touch system also offers much more. In the next blog we will highlight 10 exclusive technological functions of this range of safes and security cabinets. This entry was posted in Safes, Safety cabinets and tagged products on 22 June 2015 by Mara Rossi.